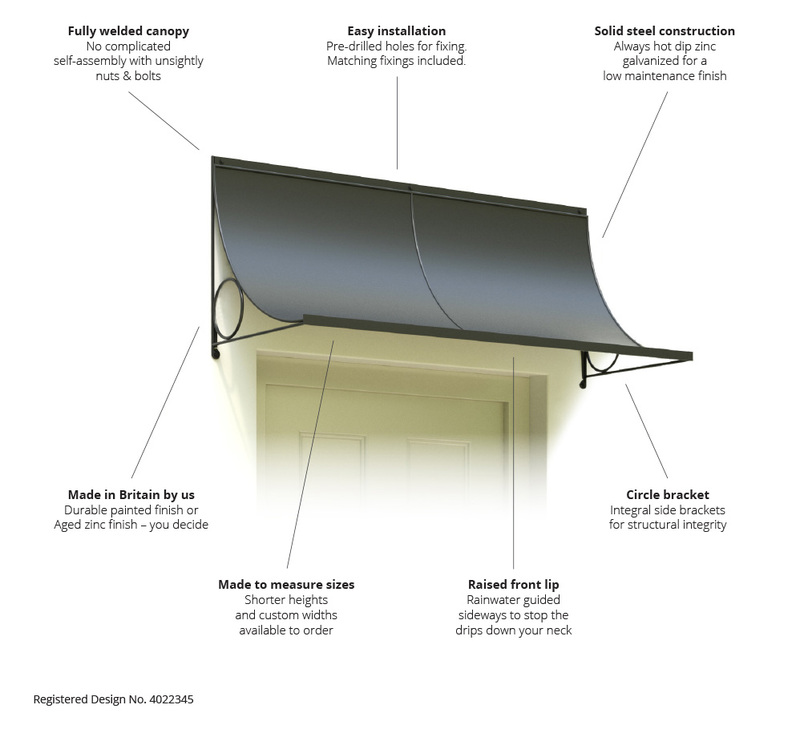 An 18″ deep Scoop door canopy shown in black finish. The 5′ 7″ high wall trellis panels and 18″ circular steel planters are shown in aged finish. Canopy heights of 7.5″ and 12.5″ also available to order. 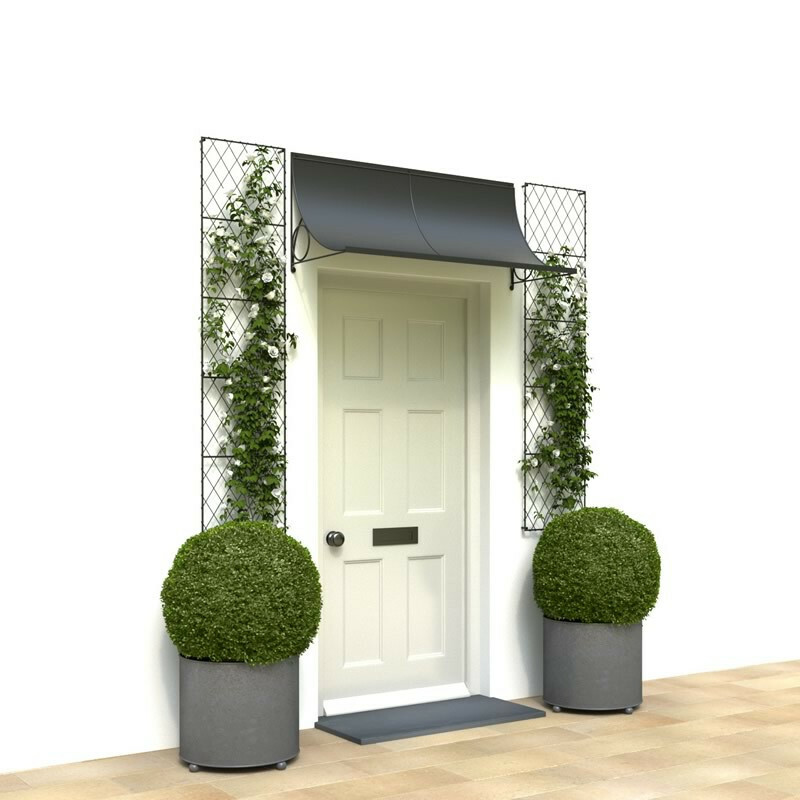 Our black painted Scoop door canopy looks exactly how we visualised it and we’re very pleased with the product quality and finish.